The leather used for Birkenstock® uppers is thick but very supple. Natural leather has a unique surface structure, which varies in its colour. No artificial dyes are used to cover up these differences but leave them the way nature intended. This way the leather retains its pores and its ability to breathe. For cleaning smooth Leather, just use a soft dry cloth. Birkenstocks with cork footbeds come with a light coating of cork sealant on the edges, which prevents them from drying out. When the cork no longer looks shiny, apply a thin coat of Birkenstock® Cork Life. All care products are available in the accessories section. 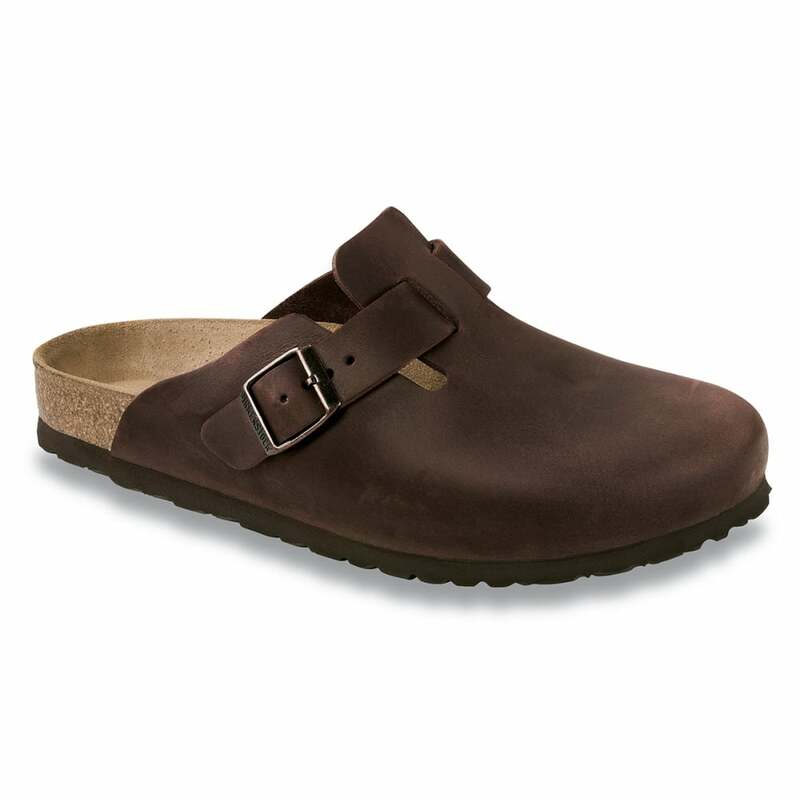 If you're a fan of the clog you're sure to be interested in the many other clogs styles we have to offer.